This is a question we get a lot here at our office, especially in months when the rain just never seems to stop! The National Flood Insurance Program (NFIP) encourages us to consider a few statistics. -The average flood claim (past 5 years), is $42,000. -Nearly 1-in-4 flood claims are made in “moderate to low-risk areas”. Floods happen in all 50 states. Anywhere it can rain, it can flood. For that matter, anywhere it can snow, it can flood! Just ask folks in the Midwest, who have been impacted by snow melt induced spring flooding, and they are nowhere near a coast line. Flood insurance is smart for home and business owners. Flood “contents coverage” is a smart option for renters as well. 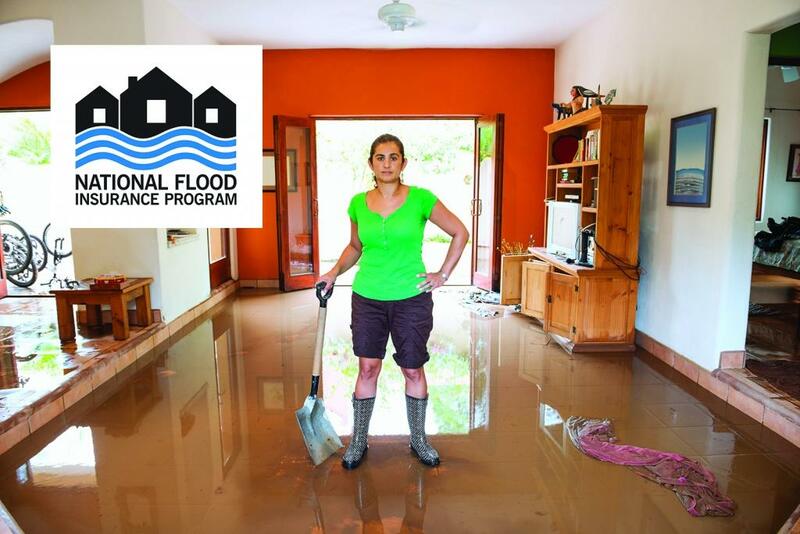 The NFIP pays for direct physical losses from a flood. Most people immediately envision their home in standing water, but a common claim is sewage backing up into a home because of flooding. This scenario is also a covered claim. Flood insurance building coverage would provide protection for the building, foundation and permanently installed items such as the HVAC, plumbing or electrical systems. It would cover permanently installed items like the stove, refrigerator or bookshelves. It also covers debris removal, as the damaged mess needs to be gathered and hauled away. The flood insurance personal property section covers “contents”. Examples are clothing, furniture and electronics. It would even cover a freezer and the contents inside that are ruined during a flood. It’s not a bad idea to have a video inventory of your home, in case of any catastrophic event, so you don’t forget important items that you need replaced! Your cost for flood insurance is entirely determined by your flood zone. FEMA (Federal Emergency Management Agency) is responsible for determining and updating flood zones for communities throughout the USA. The higher risk, the greater the cost. That being said, most people live in moderate to low risk areas, where flood insurance is very affordable! Low risk areas are usually eligible for a preferred risk policy, or PFP and these policies can be as low as $137 per year. Here are some examples of preferred annual premiums. Submit the quick form below. We will respond and let you know your flood zone and a good estimate for flood insurance at your residence. We’ll discuss your risks. If flood insurance is right for you, we can start the policy. If not, it is perfectly fine to say no.